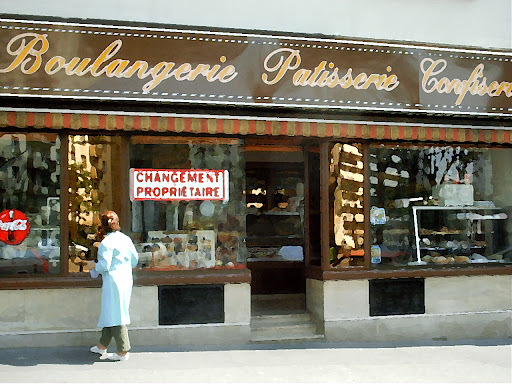 This patisserie was in the 20th Arrondismont, on my way to the Metro station. A few moments later, a woman with a dog walked by. She let me pet it and tried to strike up a conversation. I told her, "Vous non parlez Francais." Which translates to something like "YOU no speak French." I didn't realize my mistake until about 4 months later in my French class at Columbia that fall.